Scott Keogh has already made quite a mark at Audi in the past six years. The one-time Mercedes-Benz PR man helped launch TDI diesels in the United States and raised Audi's profile by, among other things, introducing advertising with more bite to it. Now, as Audi of America's new president, Keogh is adamant about not becoming complacent. "We're always ... looking for the next thing," Keogh, 43, told Automotive News after his appointment was announced last week. He replaces Johan de Nysschen, 52, who left this month to become head of Nissan's Infiniti division. 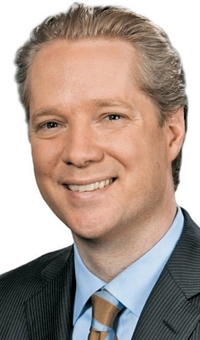 Keogh has been chief marketing officer for Audi of America since 2006, a period of record U.S. sales growth and product expansion. He is a champion of performance and engineering as a brand-building tool. "Awareness of the brand is something that allows you to get pricing power in the market," Keogh said. In his new role, Keogh will try to sustain the brand's momentum as it takes on rivals BMW and Mercedes-Benz. Keogh, a native New Yorker who grew up taking family trips in a Volkswagen Beetle, joined Mercedes-Benz in New York early in his career. There he quickly rose through the ranks, serving as general manager for Smart USA and later as head of marketing communications. He moved to Audi in 2006 to fill the newly created position of chief marketing officer, and shortly after arriving, he replaced its ad agency with a new one, Venables Bell & Partners. Under Keogh, Audi's advertising became edgier and irreverent, often poking fun at competitors. He oversaw the brand's return to the Super Bowl in 2008 after nearly 20 years and its placement in Hollywood blockbusters, such as Iron Man. In all, Audi launched 14 new models during Keogh's time as chief marketing officer. Sales also climbed. Last year Audi reported an annual U.S. sales record of 117,561 vehicles. Through May, sales climbed 15 percent over last year to 52,494. Audi is targeting U.S. sales of 200,000 annually by 2018. Audi still faces some hurdles in the U.S. market, where it lags the sales volume of BMW, Mercedes and Lexus. The brand also needs to continue work with dealers and improve loyalty figures, Keogh said. He also wants to "round out" the U.S. lineup, adding more high-performance and diesel models. "It's a powerful brand and a stunning brand," Keogh said, "but certainly, America needs to be more aware of that."